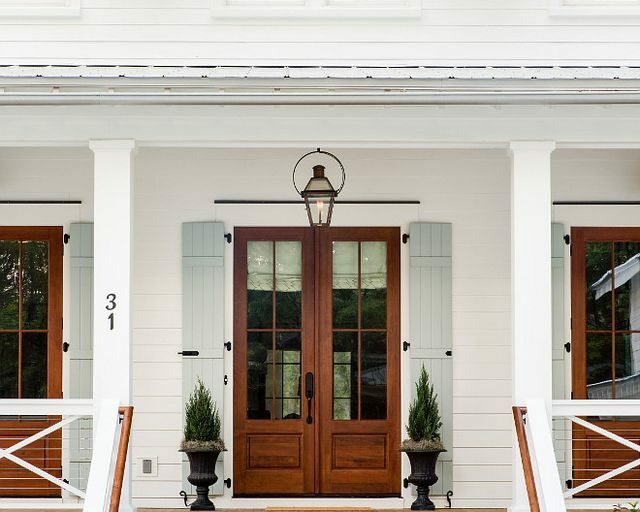 Let’s talk all things front doors! I have been trying to decide which way I want to go with our front door. 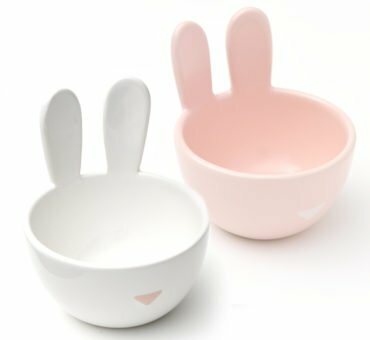 I really want it to be a statement piece in our new home. 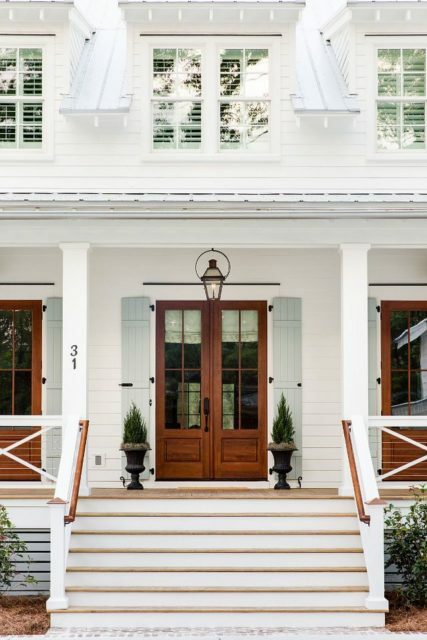 But even if you are not building a home you can spruce up your curb appeal easily by changing up your front door. I do love a good colorful door! 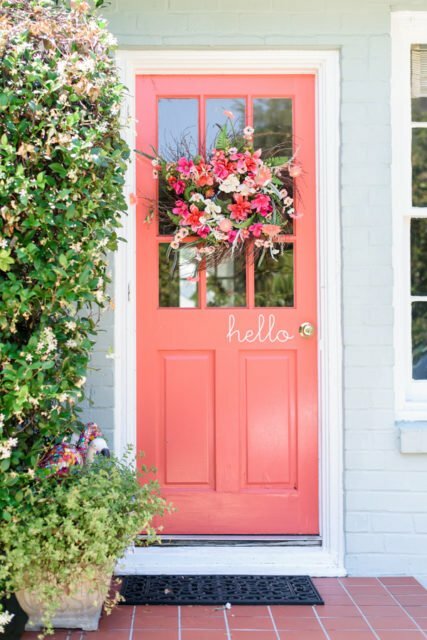 How cute is this coral door? I love how it pops and is so bright and cheery! 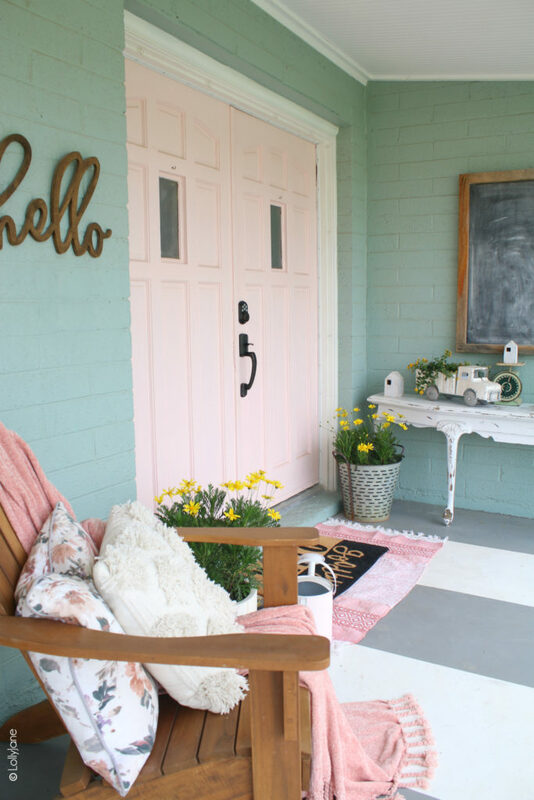 Painting your door can be a fun way to change up your exterior. Keep in mind, don’t go too bright. I am sure you have seen that one florescent green door that is now stuck in your brain, not because you liked it but because everything was so wrong about it. 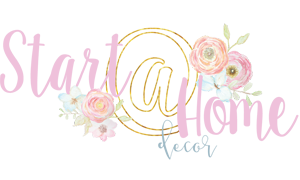 When picking a color first look at the surrounding of your home. Do you have color in your brick you want to bring out? 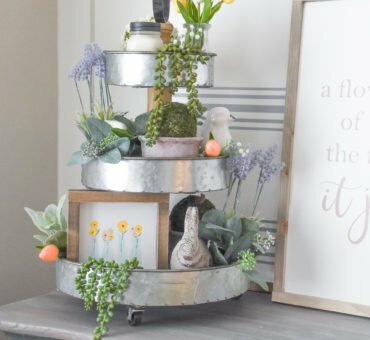 Are there accessories on your porch that would look really great with a certain color? Is there a specific color that matches the design of your home? I have also gone and gotten color swatches, printed out a picture of my home and then put the color swatches where the door is to make sure it all flows and looks good together. The last thing you want to do is paint your door to just repaint it again. I wish I could talk the hubby into a pink door. I just love Lolly Jane’s double pink door! Our plans call for double doors. Let me just tell you something… I LOVE DOUBLE DOORS!!! 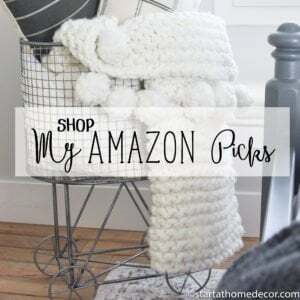 They are such a statement piece and can create a grand entrance! I love the arch in these doors with the X’s over the glass. And aren’t these doors amazing? Do you see that window above the door? 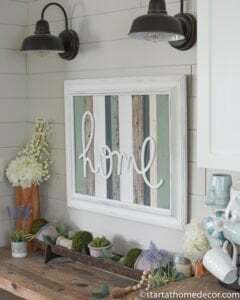 that is called a transom. We will also have a transom over our front door. 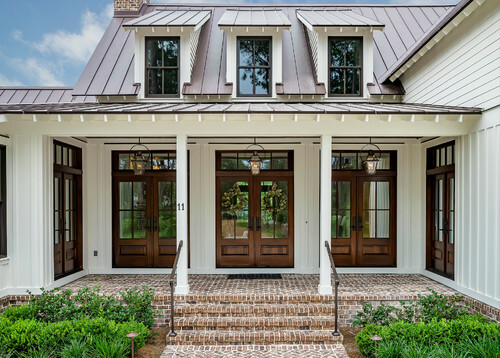 There is no other source of light for the front entry so all the light will come from the door! Oh my heavens, I am in love with dutch doors! Look how cute. 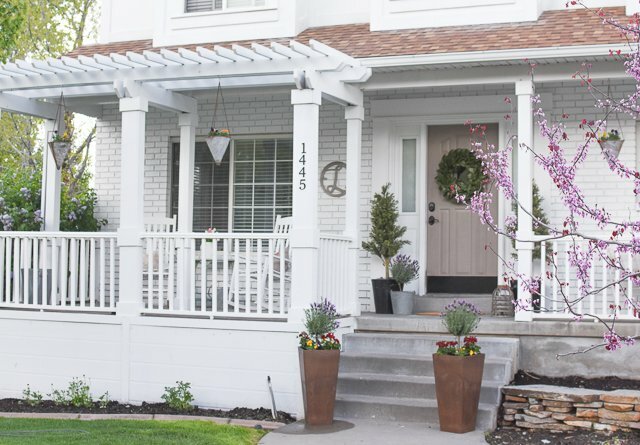 I think it would be so fun to have a dutch door in the back that goes out to my porch. What a fun design element these doors add to any space. 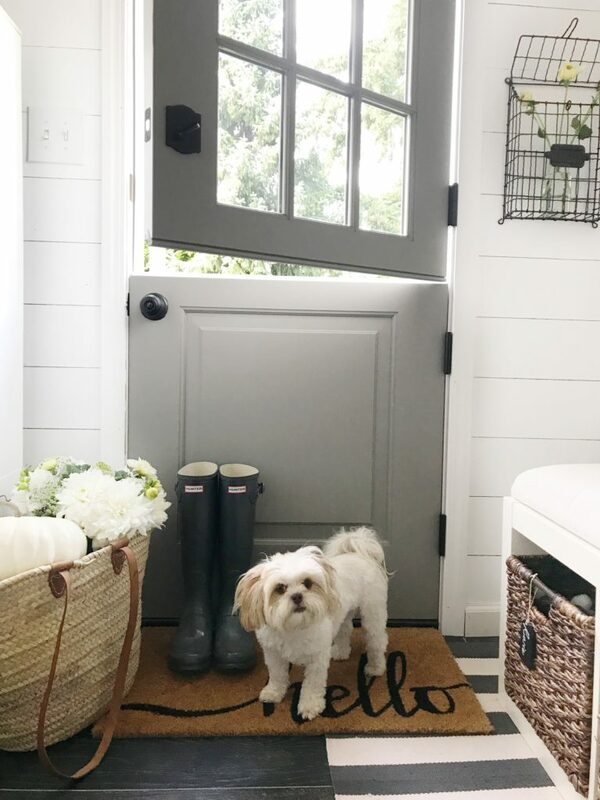 A dutch door is a fun design element you can add to an already build home as well. 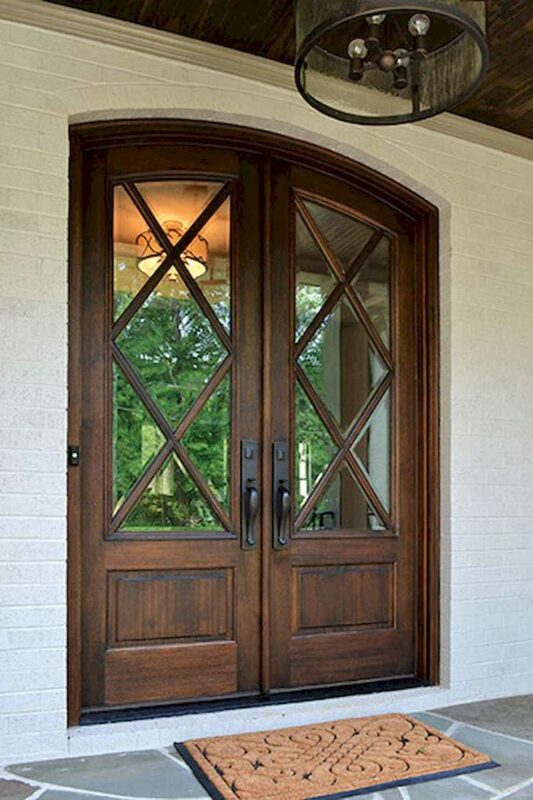 I have been trying to decided whether I want to go with a real wood door or a wood look fiberglass door. Years ago my neighbor had a fiberglass wood look door and honestly it looked terrible up close. I planning to do a real wood door until I went to a Therma-Tru showroom and let me just tell you what… their new wood fiberglass doors look AMAZING!! So good you can’t really tell the difference. I have also been looking at doors through Masonite, they have some great options as well. They sell both wood and fiberglass doors. Wood Doors: I love the warmth a wood doors adds. They resist wear and tear very well, if they get dinged up they are easier to fix. However they do need to be refinished more often and if not taken care of properly they can rot or warp. Fiber Glass: They are more energy efficient and require less maintenance over the years. They also resist wear and tear well and combat against the different extremes of weather. 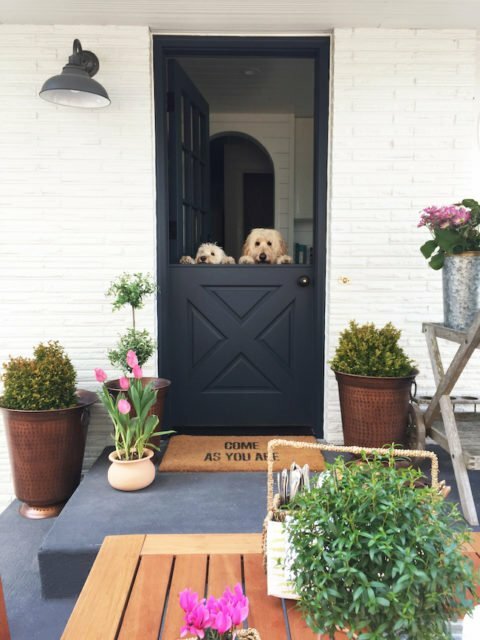 So you are probably thinking what I am thinking… get a fiberglass door! For some reason my heart really wants a wood door, and you know what they say, the heart wants what the heart wants.